“Windows 10 will run across an incredibly broad set of devices—from the Internet of Things, to servers in enterprise datacenters worldwide. Some of these devices have 4 inch screens—some have 80 inch screens—and some don’t have screens at all,” said Terry Myerson , executive vice president at Microsoft’s Operating Systems group, in a blog entry. 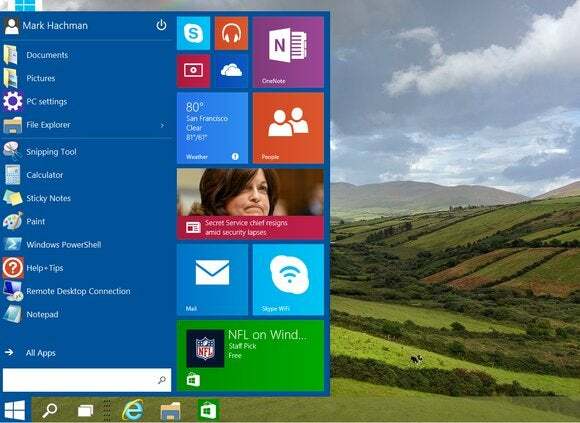 “That to me ... was the real message with Windows 8 transition. Start moving towards a super-scalable environment. [Microsoft] was ahead of the curve in that implementation, but Windows 10 has an opportunity to implement that much better. How that’s going to translate and what the customer adoption is, is what we’re trying to figure out,” Hand said.